Why does it say Yoyo Wallet in my bank statement? Yoyo Wallet is Harris and Hoole’s technology and payment partner for the Harris and Hoole app. The Yoyo system processes your payments on behalf of Harris and Hoole. This means that your payments first come to Yoyo before being forwarded to Harris and Hoole. This is the reason why Yoyo appears on your bank statement and not Harris and Hoole. Yes. Very. When you add your card details, they are immediately encrypted and sent to our payment provider, who then sends back a randomised token consisting of a long string of random letters and numbers (this is called tokenisation). This means none of your card details are ever stored on our servers. If anyone was ever able to access our servers, they’d find nothing of use. We process every payment using Stripe, a secure, global payments provider. They support thousands of companies including Twitter, Virgin and The Guardian - so you’re in good hands. For added security you can also create a four digit passcode of your choosing, meaning only you can access the app. Can I add my Loyalty Card to my Apple Pay or Android Pay Wallet? Yes, but currently only for 'Collect Stamps Only' transactions, whereby you use the app to collect stamps but pay using an alternative payment method. Can I use the Loyalty Card on my Apple Watch or Android Wear? After your link your Loyalty Card to Apple Wallet or Android Pay, you will be able to access your Loyalty Card on your Apple Watch or Android Wear. You can then scan your watch in the same way you would your phone. This is only available for Collect Stamps Only Transactions. Is the Pay & Collect option available on native Wallets? Unfortunately Apple Pay or Android Pay is not available under the Pay and Collect Stamps option, for security reasons. 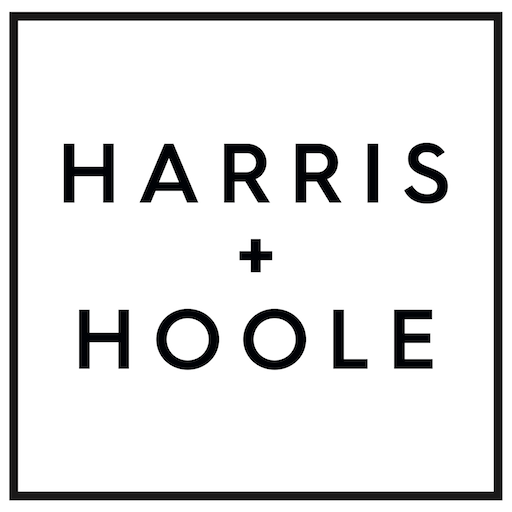 As you’ve probably noticed, you are not required to pre-load funds onto the Harris and Hoole app but you can pay for each transaction as you make it. With this in mind we change your payment code every 30 seconds so that it’s always secure. Unfortunately we are currently unable to integrate this changing code with Apple or Android Pay. As such, in the interest of security for our users, we have initially made the call that users should only be able to make payments directly with the app. We are speaking with Apple about how to integrate more deeply with Apple Pay, but it will require lots of technical work on both sides before we can launch this as a feature. That said, you can still save your loyalty card to your native Wallet and pay with your card saved to Apple Pay or Android Pay– all without needing to open the app. .can I pay with cash?